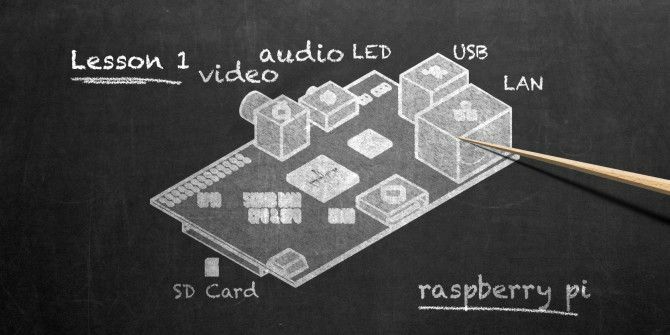 The Raspberry Pi was developed and built as a low-cost board to help encourage the understanding, learning and continued study of computing in schools. You probably know this already. But how, exactly, can schools embrace the Pi and promote this sort of education? One year later, and least 200,000 Raspberry Pis had a home in schools around the UK thanks to a shared Raspberry Pi Foundation/Google initiative. We’ve already looked at reasons why you should give your offspring a Raspberry Pi 5 Reasons to Give Your Kids a Raspberry Pi 5 Reasons to Give Your Kids a Raspberry Pi If you don't own a Raspberry Pi and you have children of a suitable age, you need to seriously think about bringing one home. It could transform your child's life – here's why. 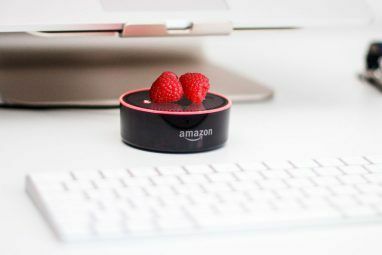 Read More for Christmas or birthdays, so how might the little device be used by schools to progress computer studies? Perhaps the most awesome use of the Raspberry Pi is as a supercomputer. Of course, you’ll need more than one Pi; 64 is a good number, but four should do if all you want to do is learn the basics of MPI (message passing interface). As you can see from this video, Lego is a major component of a Raspberry Pi supercomputer, and such a setup can also help with the education of building safely. Some understanding of Python is also required, while SSH is the best option to communicate Setting Up Your Raspberry Pi For Headless Use With SSH Setting Up Your Raspberry Pi For Headless Use With SSH The Raspberry Pi can accept SSH commands when connected to a local network (either by Ethernet or Wi-Fi), enabling you to easily set it up. 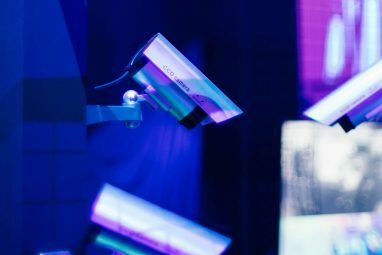 The benefits of SSH go beyond upsetting the daily screening... Read More with the resulting supercomputer, which can both be used as springboards towards other projects. Utilizing the Raspberry Pi for problem solving projects is one way in which the device can become a focus for computer-based learning. One good example is this, a Door Answering System that helps elderly or disabled people to answer the door. Another way in which the Pi can be used in schools is with the help of our old friend Lego. Here, a student demonstrates her Raspberry Pi project, based around a Lego smart home using ScratchGPIO to detect temperature, motion and light and therefore control fan, buzzer and LED lighting within the house. This micro smart home is a perfect example of how the Pi can be used in a scaled up smart home scenario too, using OpenHAB Getting Started with OpenHAB Home Automation on Raspberry Pi Getting Started with OpenHAB Home Automation on Raspberry Pi OpenHAB is a mature, open source home automation platform that runs on a variety of hardware and is protocol agnostic, meaning it can connect to nearly any home automation hardware on the market today. Read More . Will a Teacher’s Guide Solve The Windows Conundrum? Microsoft (and occasionally Apple) computers are ubiquitous in schools. While universities might have Linux and UNIX boxes tucked away from direct attention for various computing-related degrees, schools have long been welded to the Microsoft model. A big problem with this is that teachers often don’t have the skills required – or the time to develop them – to deal with the Raspberry Pi. Opening the box to find just a board can be disconcerting and in some cases intimidating. With this in mind, the Raspberry Pi Foundation has released an online Teacher’s Guide, covering everything from getting started with the original setup, installing an operating system How to Install an Operating System on a Raspberry Pi How to Install an Operating System on a Raspberry Pi Here's how to install an OS on your Raspberry Pi and how to clone your perfect setup for quick disaster recovery. Read More to using VNC to communicate from a desktop PC VNC, SSH and HDMI: Three Options for Viewing Your Raspberry Pi VNC, SSH and HDMI: Three Options for Viewing Your Raspberry Pi The Raspberry Pi is a remarkable little computer, but it can be time consuming to set it up and connect it to your monitor. Read More and even Raspberry Pi teaching resources. School-age competitions are another way to inspire learning among students of ways in which computers can be used to solve problems. Such a contest is the PA Consulting Raspberry Pi Competition which has three categories for schools – primary school students (under 11s), secondary schools (11-16), colleges (17-18) – as well as an undergraduate category. Here you can see the students talking about their projects in a video shot at London’s Science Museum during the 2015 awards day. Are Schools Doing Enough, and Is Kano the Answer? Better still, you can download the Kano image and install it on your Raspberry Pi today. 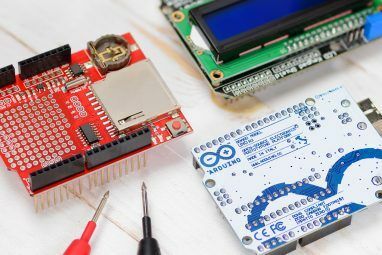 Kano is a great way to get started quickly with the Raspberry Pi, and with its bright colors and easy construction (with Lego-like ease) it is certainly more exciting than the standard Pi starter kits. Does your child’s school use Raspberry Pi computers? Are you a teacher with whose classes rely on the Pi? Tell us about the ways you use the mini-computer to inspire learning in students. NOOBS vs. BerryBoot: Which Is Best for Installing a Raspberry Pi OS?